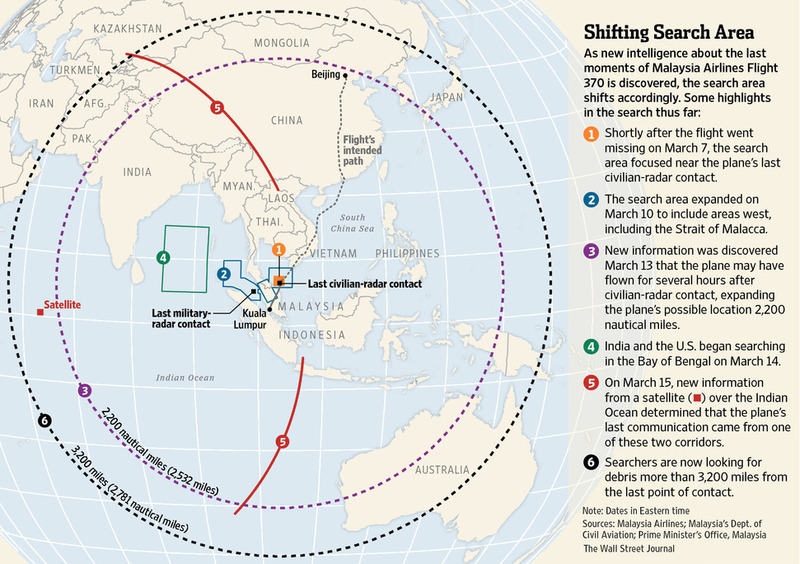 The vast expanse of the ocean, and its currents have pushed the search area for MH 370 to become wider and wider. Inspired by the events of the Malaysian Airlines flight (MH 370), my team initally embarked on trying to find a solution to the deep sea search problem. From any airplane company's point of view the longer a search takes, the more anxious families get, and the anxiety affects the trust of future travelers, which in turn affects the company's economic outlook. ​We soon discovered that finding plane wrecks is no small feat-- even though satellite technology has proven that we can get resolution up to 1km (work done by Scripps), quite a few planes can fit into 1 km! 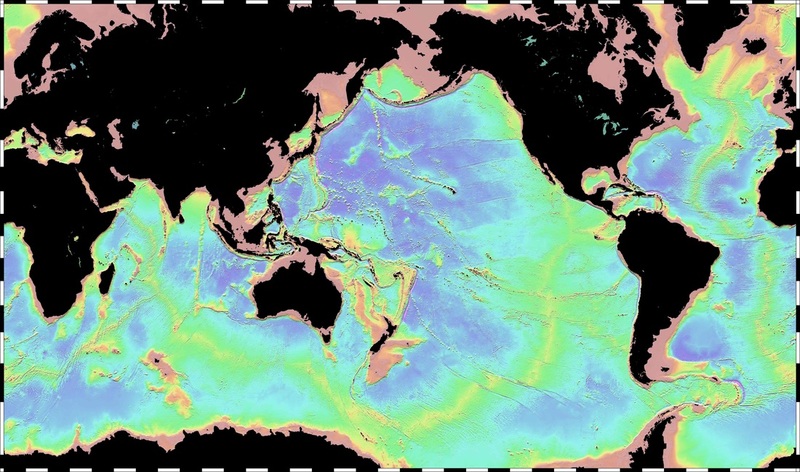 Additionally as the search area continues to change, one of the more intriguing facts about the problem we discovered is that the current search area spans a part of the Indian Ocean that is roughly the size of Australia-- just big enough to fit about 2 billion copies of the plane that fell into the ocean in the first place. Now that's a big haystack! Additionally, as the sea floor does have some variability in geography we tried to narrow our search down to a specific part of the ocean. Initially we thought the North Atlantic Ocean, for it's high traffic, would be ideal. However, we discovered that they have the equivalent of freeways, onboard-radars to detect other planes, and are quite heavily monitored and regulated. So we decided to look at the region where MH 370 fell. The airspace around South and Southeast Asia, for the most part (except for the tiny country of Singapore) is fairly unregulated in comparison to the North Atlantic Ocean. There aren't resources to be dedicated to infrastructure problems because there are other problems to worry about in the developing world. Outdated equipment on the ground causes pilots to have to stay within range of the radio towers of all times. This can lead to dangerous situations during monsoon season, which affects these regions for 6-9 months out of the year. This is a region of the world where the warm moist air of the equator and the cold dry air of Antartica collides-- in fact, there are parts of the Indian Ocean where waves are the tallest in the world because of the strong winds that blow through. We figured that if there was any other region that would lose more planes, it would be South/Southeast Asia due to the concentration of developing countries and the rapid expansion in budget airlines. 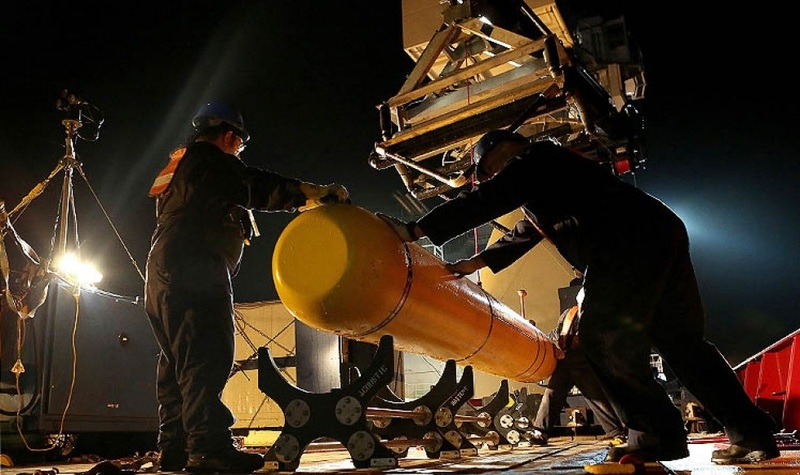 Now, reaching the open ocean is no easy feat-- currently, to observe a specific area in high resolution detail requires ships that carry these 20 foot long autonomous underwater vehicles that scan large swaths of the ocean floor. This system costs $50,000 USD a day and moves relatively slowly at 2-5 knots (roughly 2-5mph). It takes a long time for boats to reach these remote locations, too-- ranging from 5-12 days (and they can't go out if the weather conditions are deemed unsafe). Boats are slow; planes are much faster. Presumably we could use the C130 within a good range (approximately 2500 miles), plus they're a fairly common plane and can be had all over the world. Our goal was to be able to do a low-altitude drop within 4 days of receiving notice from the airline company. A team of operations engineers back at company headquarters would monitor the vehicles throughout their lifetime and ensure nothing would go wrong. A search system like this could benefit from the use of coordinated surface and underwater vehicles. Surface vehicles could provide a charging station and a continuous link to Mission Control. The underwater vehicles, depending on the density of the search grid required, could possibly use cheaper sensors and components than what current systems use. 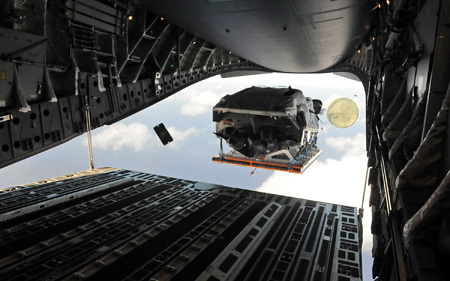 Iridium data would allow the vehicles to pass information back to mission control for storage. The Bluefin vehicles that are being brought out to perform these high resolution scans are cost-prohibitive for some of these governments to afford-- the cost of the crew, the support vessel, and the unmanned vehicle itself is in excess of $50,000 USD a day. Inflatable rib boats are frequently dropped from C-150 planes. C-150 planes are some of the most common air cargo vehicles and have a fairly long flight time. If rib boats could be rigged to be deployed from planes, we figured so could a cluster of survey vehicles. Please see the final report, here. **Please note** This was a 10 week long semester project and it's not totally thorough in all of the rationale. ​please do not base a real life system entirely off of our hypothetical systems architectures and diagrams!